If you own a business in the Indianapolis or Greenfield areas, it can be difficult at times for your store to stand out in the crowd. There are so many other businesses competing for attention, so you need to gain a competitive advantage over them by installing an illuminated sign outside of your store that attracts the eye and improves the visibility of your business. Greenfield Signs & Lighting has the experience it takes to outfit your store with the right illuminated sign. 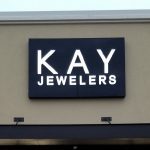 We can help you with illuminated channel letters, custom signs, illuminated signs, custom illuminated signs, and more. We have helped many companies create quality business signs in the past and know we can do the same for you. 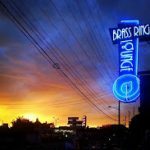 Many business owners don’t realize all of the options they have when it comes to picking out illuminated signs for their businesses. 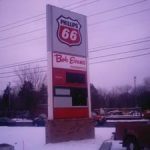 From large channel letters that can be seen from almost anywhere to pylon signs that sit out near roadways and bring customers in, there are a full range of different business signs for companies to choose from. 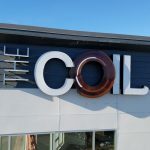 It can be a little confusing to decide whether big custom illuminated signs, blade signs, neon signs or some other type of business sign will work best for a specific business. Fortunately, we have years of experience working directly with companies to find the right signs that will bring in the most business for them. It’s all about choosing the illuminated sign that works best for the business, the brand and the location and we can help business owners make the best decision for their specific situation. Greenfield Signs & Lighting is a family owned and operated business that offers excellent prices and quality customer service to clients in Indianapolis and throughout Indiana. Based in Greenfield, we’ve worked with clients throughout the state to create illuminated signs for their businesses, and we’re sure you will love what we are able to come up with. You’ll get a sign that improves your business aesthetics and really adds to the exterior of your store. 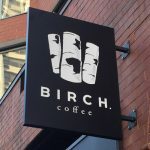 From designing what the sign will look like to creating sign cabinets for the sign of your choice and on through installation, we will be there for you every step of the way. 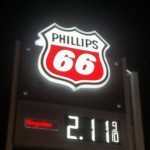 Call Greenfield Signs & Lighting at 866-740-9797 to hear more about how an illuminated sign can help your business grow.